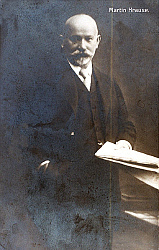 The Mexican composer Manuel María Ponce Cuéllar was musically active in the first half of the 20th century. The European-influenced Ponce was the earliest internationally successful Mexican composer of classical music. In a period where folk and popular music was segregated composers like Ponce encouraged national cultural pride in their country's musical heritage. The Mexican made an enormous contribution to the development of the classical guitar and it's acceptance as an instrument on a par with other concert instruments, particularly through his association with Andrés Segovia. The tiny village Fresnillo in the Mexican state Zacatecas was the birthplace of Manuel Ponce on December 8, 1882. Soon thereafter the family moved to the city Aguascalientes where Ponce grew up and resided until the age of 15 years. His mother encouraged her children to learn music, and Ponce learnt the musical notes before the Alphabet! As early as 4 years he began studying piano and solfege with his sister Josefina. 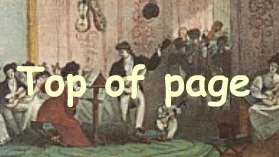 An interest in composition followed and his first work La Marcha del Sarampion (March of the Measles) was written at age 9 when he contracted the disease. He later sought more advanced instruction with the piano teacher Cipriano Avila. 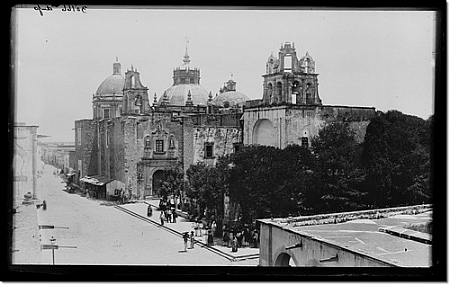 Other musical activities through his childhood included singing in the children's choir (at the church of San Diego in Aquascalientes, where his older brother Fray Antonio was a priest); and also playing the church organ. At age 18 Ponce continued his music education in Mexico City and 3 years later entered the Conservatorio Nacional where he studied solfege, music theory and analysis. He was already musically advanced at this period and was not satisfied with the instruction he received at the Conservatorio, and hence he returned to Aquascalientes where he taught piano and solfege at a local academy of music. A year later he travelled to Italy where he hoped to study composition with maestro Enroci Bossi in Bologna, however he was rejected and instead found tutors in Luigi Torchi and and later Cesare Dall'Olio, a pupil of Giacomo Puccini. 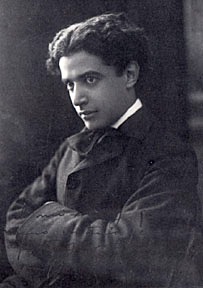 Dall'Olio died in 1905 and subsequently Ponce travelled to Germany where he studied piano with Edwin Fischer, and later with Martin Krause (a pupil of Franz Lizst) at th Stern'sches Konservatorium in Berlin. In Germany he was encouraged by his fellow german students to incorporate Mexican folk elements, as they were similarly doing in german music, in his compositions rather than dedicating himself to Euopean-classic style. After his years studying in Europe Ponce returned to Mexico in 1908 and taught piano and music history at the Conservatorio Nacional. in this series were arrangements of popular Mexican folk songs, Estrellita being the exception, evidently the musical world at large conveniently presumed that Estrellita was also a traditional tune and consequently Ponce never received any commercial royalties for the work. "Our salons welcomed only foreign music in 1910, such as Italianate romanzas and operatic arias transcribed for piano. Their doors remained resolutely closed to the cancion mexicana until at last the revolutionary cannon in the north announced the imminent destruction of the old order. Amid the smoke and blood of battle were born the stirring revolutionary songs soon to be carried throughout the length and breadth of the land. Adelita, Valentina, and La Cucaracha, were typical revolutionary songs soon popularized throughout the republic. Nationalism captured music at last. Old songs, almost forgotten, but truly reflecting the national spirit, were revived, and new melodies for new corridos were composed. Singers traveling about through the republic spread far and wide the new nationalist song; everywhere the idea gained impetus that the republic should have its own musical art faithfully mirroring its own soul." 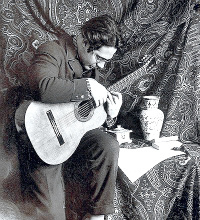 "To hear the notes of the guitar played by Andres Segovia is to experience a feeling of intimacy and the well-being of the domestic hearth; it is to evoke remote and tender emotions wrapped in the mysterious enchantment of things of the past; it is to open the spirit to dreams, and to live some delicious moments in the surroundings of pure art that the great Spanish artist knows how to create…. Andres Segovia is an intelligent and intrepid collaborator with the young Spanish musicians who write for the guitar. His musical culture allows him to transmit faithfully through his instrument the composer’s thought and so to enrich daily the guitar’s not very extensive repertoire…. At the end of his recital he played the Sonatina of Moreno Torroba, which in my modest opinion was the most important work of the programme, magisterially performed by Andres Segovia in his introductory recital before the Mexican public. The Sonatina shows us a composer full of melodic ideas, a musician who understands classic forms, a knowledgeable folklorist who knows how to construct, with elements of rhythm and popular melodies, works important because of their development, and harmonic tendencies." When the two met after the concert, Segovia was impressed with Ponce's comments about the recital and Torroba's Sonatina. The Spanish maestro subsequently requested a composition, and Ponce quickly responded thus beginning a long and fruitful partnership between the two artists.